Window/Shop. I had to dredge the archives. golden hills of San Simeon. 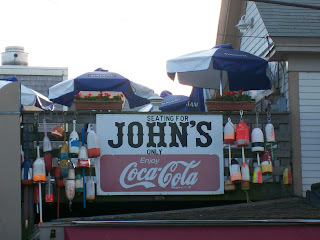 Provincetown. Great hospitality and wonderful seafood. I couldn't resist this photo. "John's Only"
"Wherever you decide to go, go with all your heart"
My best to all! My other blogspot "tHe ArTfuL Eye"
Delightful entries - I like the room/hills contrast in the 1st photo & that's one funky shop in the last photo. I meant to stop by before and tell you that I loved the giant clover leaves from last week. Such great photos! 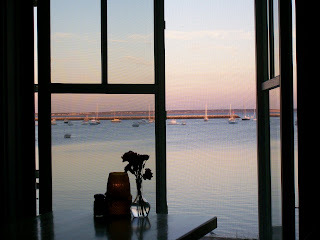 I love the window photo looking out at the bayside- something about windows that are magical! 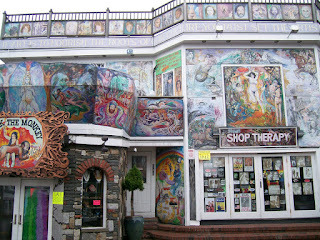 The craziest head shop is a gorgeous building! I give this post five bongs, I mean five stars. You know what I mean. 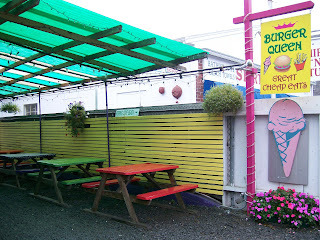 Was Burger Queen in Provincetown? 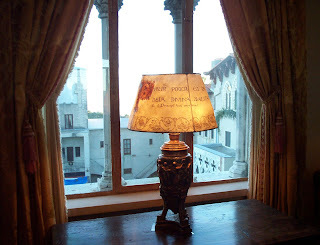 I was in Hearst Castle once with my other ex and the kids. My kids behaved beautifully, better than some of the adults on the tour. What a grand old place. I wouldn't want to live there, though. I would get lonely. You'd have to share it with about one hundred other people. Great head shop! You don't see many like that. Not even around here. That last photo was a trip!! What a shop indeed. Do you have more pictures of the shop from the inside?